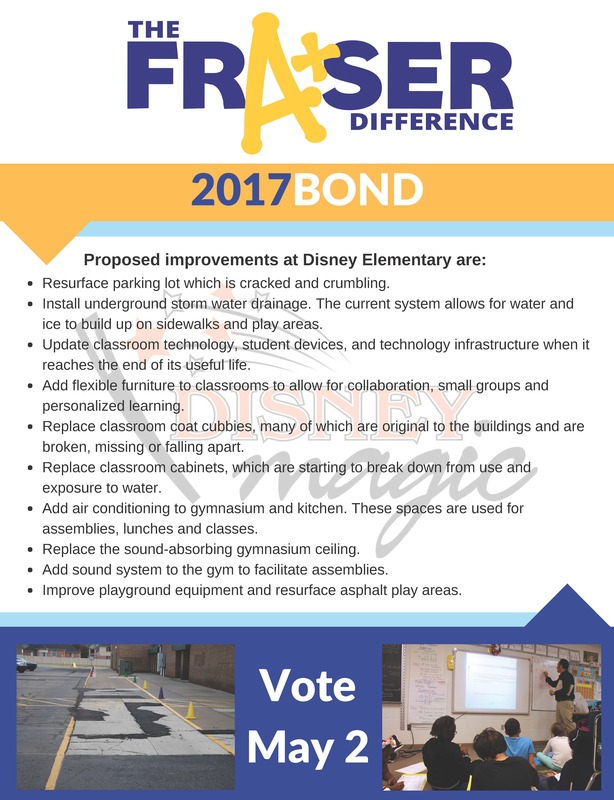 The outlined projects are the result of a collaborative effort among building and district staff. This $29.37 million bond is designed to help provide modern facilities, technology and transportation to our students, staff and community. Resurface parking lot which is cracked and crumbling. Install underground storm water drainage. The current system allows for water and ice to build up on sidewalks and play areas. Update classroom technology, student devices, and technology infrastructure when it reaches the end of its useful life. Add flexible furniture to classrooms to allow for collaboration, small groups and personalized learning. Replace classroom coat cubbies, many of which are original to the buildings and are broken, missing or falling apart. Replace classroom cabinets, which are starting to break down from use and exposure to water. Add air conditioning to gymnasium and kitchen. These spaces are used for assemblies, lunches and classes, and get very warm when several hundred students and teachers are inside. Replace the sound-absorbing gymnasium ceiling, which is patched in many places and falling apart. Add sound system to the gym to facilitate assemblies. Improve playground equipment and resurface asphalt play areas which are cracked and crumbling. Want to share this list of projects? Download a pdf document or a jpg image.